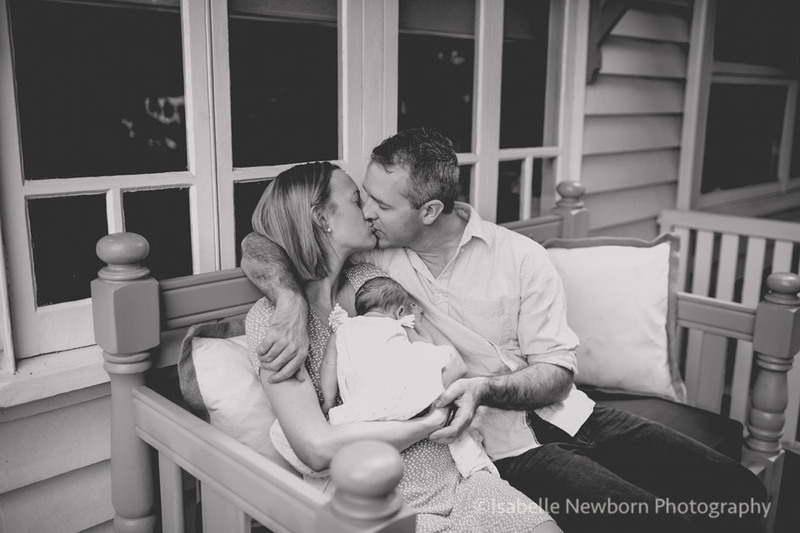 Brisbane newborn photographer ~ What is baby photography ? Baby photography is a genre of photography that specialises in taking photographs of babies and newborn babies. Babies can be born at the hospital or at home. Regardless of the location of the birth (hospital, home, or in the car … Oooops ! ), baby photography can start at the birth of the baby. This type of photography is referred to as birth photography. The birth photographer will be there with the mum or couple during the labour, and the birth. This photographer will document the birth of your baby, and often take incredible captures, which show the intense emotions that happen during birth. The expressions of the faces, from the mother, the father, are worth a 1000 words. The baby just being born. These images are often not graphic and filled with love and emotions. Although some *can* look a little bit graphic, if they are of your birth, you will not see them as such. As with any custom photography, this is something that you can discuss with your photographer prior to the day. Details that you want to see and those that you don’t want. Doing this will ensure you receive photos that are exactly what you wanted. In the event of a planned c-section, beautiful photos showing the baby just being born or the baby next to his mother’s face are moments that only a photograph can tell. These photos are taken when baby is 1 or 2 days old. They are mostly done by photographers who are working with the hospital, or you have the possibility to hire your own photographer, who will visit you at the hospital (following the same rules as the visitors), or in your home in case of a home birth. It is a good idea to let the staff know of this special visit, so that you can tell your photographer when is a good time to come. Hospitals stay are usually very short and busy. Most will offer classes with tips for first time parents. So it’s best to plan with the staff when it is that you have 1 hour of free and uninterrupted time for your photographer to come visit you. The photographer will document the environment you and your baby were in shortly after your baby was born. Photos such as baby in the translucent hospital bassinet, the little card that had baby’s details on it, the first bath, a family photo on the bed … moments you never want to forget. This photography is usually best done between 5-12 days. By this time, you will probably be home, and if you are breastfeeding your milk should have come in. Your baby will still be tiny, and this is when most womb like poses can be achieved, resulting in stunning art pieces featuring your baby ! Sessions can be done in studio or in your home. In-home sessions are usually more lifestyle, and can be great if you wish to use your home as a background to your photos, or if you have a unique family, like this couple who owns 5 dogs, 4 cats, 8 birds, and some guinea pigs ! Another great reason to choose to have newborn photos done in-studio or in your own house is that you have the chance to put-on an outfit that you love and get pampered ! I include professional hair and make-up with my newborn sessions. Make sure to discuss every little detail with your photographer, and be clear about what you like and don’t like, any ideas you have in mind, so you get photos that you love. With each of my clients, I go into great details about their newborn photography session, for a unique result. Parents often enjoy having not just photos of their new baby, but also some baby photos of their little ones. These can be tummy time (3-4 months), sitter (7-8 months), and the 1 year sessions. Are you in Brisbane and expecting a little one ? Let me guide you for your baby photography needs. Fill-in the form below, tell me a little bit about you and and I will be in touch. I would love to create some beautiful art for you !